WordPress blogging platform comes with a commenting system that allows your website visitors to leave opinions on given topic and to communicate with you and other users of your site. Known as a comment, this (usually short) message is located at the bottom of your posts and pages. 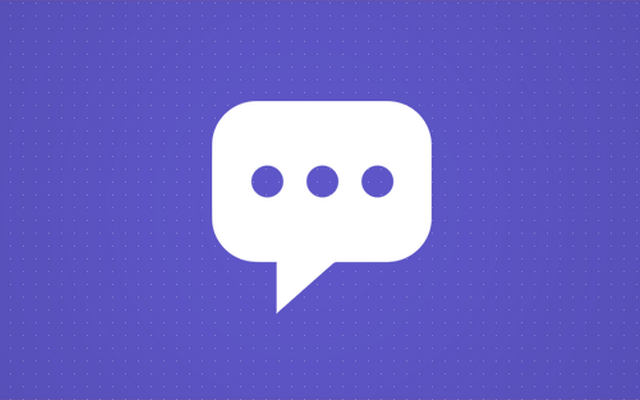 When a user lands on a post or a page where comments are enabled (by default, WordPress allows comments on all posts and pages), he will see a comment form. By filling it out and writing a reply, any user can state their opinion that will show underneath the article. Other users can see and reply to any comment or write their own. To manage a single comment, place the cursor over it – a few management links will appear under the selected comment. Here you can approve or unapprove already published comment. By default, all replies that you receive will be waiting for your moderation, and you will have to manually click each one of them so they can show on your post or page. Quick Edit option allows you to modify the comment. You can change the text, links, and everything like it was your own one. Additionally, you can edit the name, email, and URL of the person who left the reply. The Edit button gives you to same options, but it opens the comment on a separate page. Spam button will mark the comment as unwanted and move it to a separate folder. Similarly, the Trash button will delete the comment and move it to garbage. It will stay there for thirty days unless you permanently delete it from the list. You can alter the behavior of the WordPress’ default comment system through settings. For example, decide if non-logged in users can leave their replies or enable an option that will automatically approve all comments (not recommended). Since we have already described Discussion settings in details, please see how to work with WordPress comments settings. Even though WordPress allows comments on all posts and pages, you can control that setting for every individual post or page. By default, WordPress will send you an email each time that someone leaves a comment on your site. While this is a nice feature when you are starting your WordPress blog, it may be a nag once you start receiving more replies. If you don’t want to get new emails for each comment on your site, please go back to Settings -> Discussion where you can turn them off. The default commenting platform is just good enough for a regular user. But if you decide to extend the commenting system, you should know that are dozens of other WordPress plugins that can replace the default one completely. For example, you can install Disqus, Comments Evolved, Livefyre Comments 3, or even add Facebook comments to your site. Unfortunately, one of the first comments that you will get to your site will probably be spam (unwanted comment). From the very moment that you install WordPress, your site will become a target for thousands of spammers that will start sending you poorly written advertisements and undesired messages. Luckily, there are many anti-spam plugins that will help you fight that menace. For starters, there’s Akismet which comes preinstalled with WordPress. When someone links to your blog from any other website, you will receive a pingback. This way, WordPress helps you keep track of sites that link back to you. Pingbacks are recognized as comments, and they will appear on the moderation list among all other regular comments posted by your visitors. To distinguish a pingback from comment, search for […] at the beginning and the end of each comment. Every commenter has a little image shown next to the comment. This image is called an avatar, and it represents the author. WordPress uses Gravatar to display this picture. So, if you want to have your photo or any custom image for the avatar, please register an account with Gravatar. Users who don’t have a free Gravatar account and a custom avatar will get the default avatar image. You can set the default one in Discussion Settings. Comments are a good way of keeping in touch with your readers. They can make your website better and more interactive. Before you start using comments on a regular basis, be sure to check the settings and customize them to your needs. If you don’t like how the standard comments work, there are dozens of other plugins that can replace the default system. Unfortunately, comments also attract spammers so be prepared to combat spam at all times. Next » What is a WordPress Theme?